December 13 will mark our Fall Grant Cycle 2017 Reception. The following agencies and programs were awarded iGive grants in Our Fund Foundation’s Spring 2017 grant allocation. Support for TransCon 2018 – an annual conference designed for transgender and gender non-conforming individuals and their allies. Support for bringing the NAMES Project AIDS Memorial Quilt to Palm Beach and Broward Counties in partnership with the World AIDS Museum. 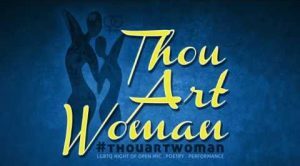 Support to produce Thou Art Woman, an event series celebrating LBTQ women and their allies through performance and visual art. Support for “Creating a Welcoming Miami for LGBTQ Refugees & Immigrants” events throughout Miami-Dade. Support for the Ujima Men’s Collective Conference designed to educate, empower and encourage Black same gender loving men to their greater selves. Support for a leadership development initiative for QTPOC (Queer and Trans People of Color) to strengthen the community’s pool of talent. Support for 4th Annual Rainbow Families Day, an event that provides opportunities for children and families to celebrate what makes their family unique. Support for Youth Philanthropy Program that will strengthen the capacity of new and existing Gay-Straight Alliances in Miami-Dade Public Schools while promoting youth volunteerism with the local LGBT community. Support for The Ageism Project facilitating workshops, intergenerational talks, elder/youth peer-peer mentoring and the creation of a public performance series in Miami-Dade and Broward Counties. Seeking general operating support for the SMART Ride that distributes funds to Florida agencies providing direct services, education and prevention. Support for SunServe’s Senior Day Care Center, a day facility for LGBTQ seniors and LGBTQ caretakers’ family members.